If you love innovation, refined, classic with an artistic twist kind of design in bags you are going to love these ones by Bahraini designer Sofia Alasfoor. Her bags are ideal for anyone who's artsy & bold, we are so proud to see such amazing work made by someone from the middle east, foreign items are nice yeah but they're so yesterday or last year most of the time also a local item has something extra always, a special feeling when you wear or buy it, maybe this is how french women felt when they wore an Hermès or Chanel bag back in the day? anyway, here are the answers she gave us for the interview! enjoy..
1. When did the idea of starting your own line come to you? My inspiration and determination became my goal during my year attending Cordwainers at LCF during my first semester after accomplishing my first final project. 2. Did you go to London College of Fashion & Parsons to be a bag designer or did that get revealed to you later on? I actually had a desire for it after my first year at Kingston, I had done a bag project for one of my Fashion classes. Unfortunately I wasn’t able to stay in London the following year and went to Milan. My wish for doing the course did finally happen which was after Parsons. 3. Who is the lady that you imagine would wear your bags? These bags were designed for the elegant and confident woman, a woman who wants to make a statement. Individualism is the main focus. 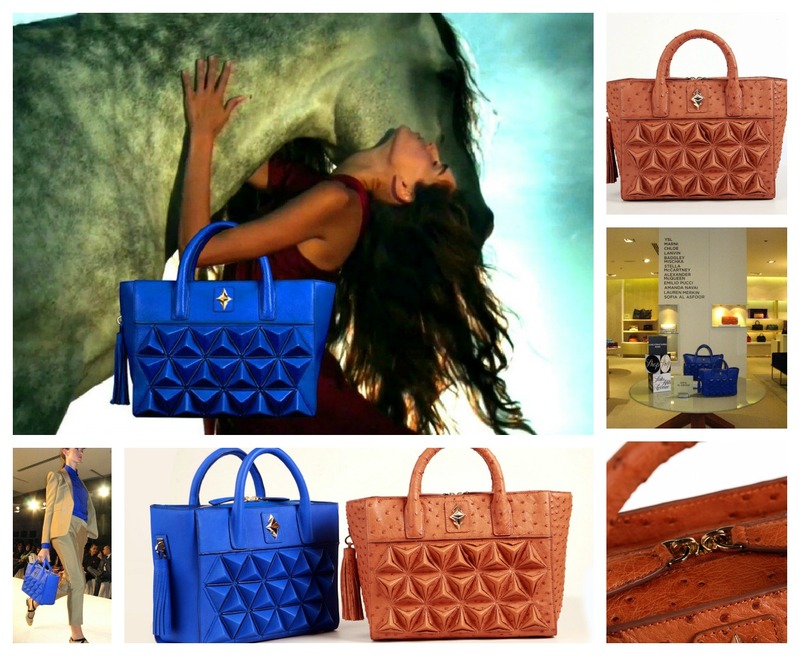 The bag is blue, it is elegant and luxurious, a colour that represents serenity and inspiration. The shield is a creation that reveals itself boldly, the pyramids represent the many sides a woman conceals, the deeper you go the more you discover. A Shield of protection in today’s world. 4. Your signature design seems influenced by the art of Origami, was that one of your inspirations? It was part of the process I played around with to try and create a vision I had of the bag. So yes I spent a lot of time researching into it. 5. How do you prepare for a collection & what comes first to you when designing bags, the design itself or the material? I envision it, then go about with how to create. I enjoy making, so I go straight into creating bag patterns rather then a sketch, from there I do my adjusting, and ideas come through while making it. 6. Do you think you'll ever make a shoe line to match your bags? I have a little shoe obsession but I honestly must say never had an interest of making them, but you never know. 7. What are your future plans for the brand? I am continually designing and intend to expand my business venture. 8. Which is your favorite fashion week & favorite designer? Paris and London. 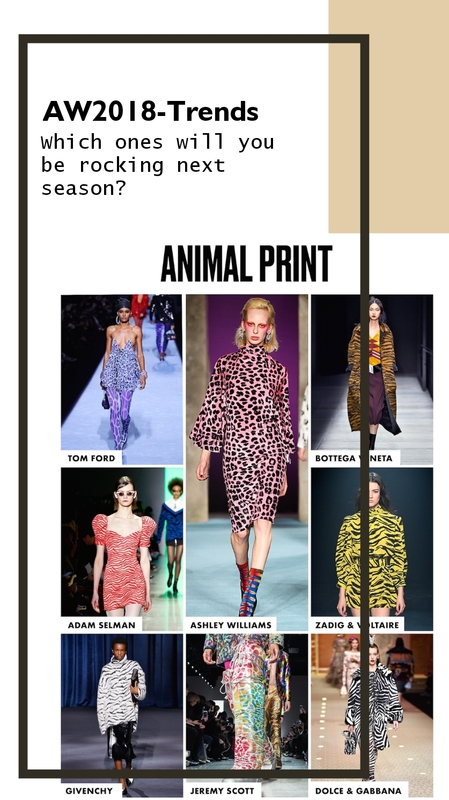 I do not have a favourite designer, however I was impressed by Monique Lhuillier, Marchesa, Dennis Basso, Jason Wu, Peter Pilotto and Illestera this past season. 9. What are your favorite fashion stores, sites & books? I’m a big fan of markets, I loved walking around Tokyo, they had really interesting finds, London is always a favorite, you’ll always find some little boutique and not far off the Spanish steps in Rome, They have some beautiful stores. 10. Where can our readers find out more about you and your work? You can find some information on my website www.sofiaalasfoor.com and my FB page for updates.